The local families who turn out and care for their animals grazing the Forest are central to the survival of a system that produces substantial benefits, whether for access, nature, landscape or culture. Recognition of these benefits since the 20th century has given important extra weight to the commoners’ defence of the Forest over centuries which has ensured its survival. 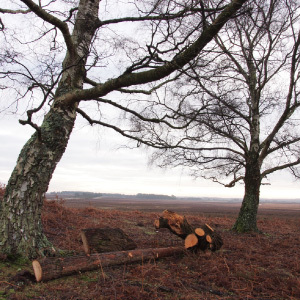 The loss of so much common grazing elsewhere has led to the New Forest becoming, by default, a very special place. 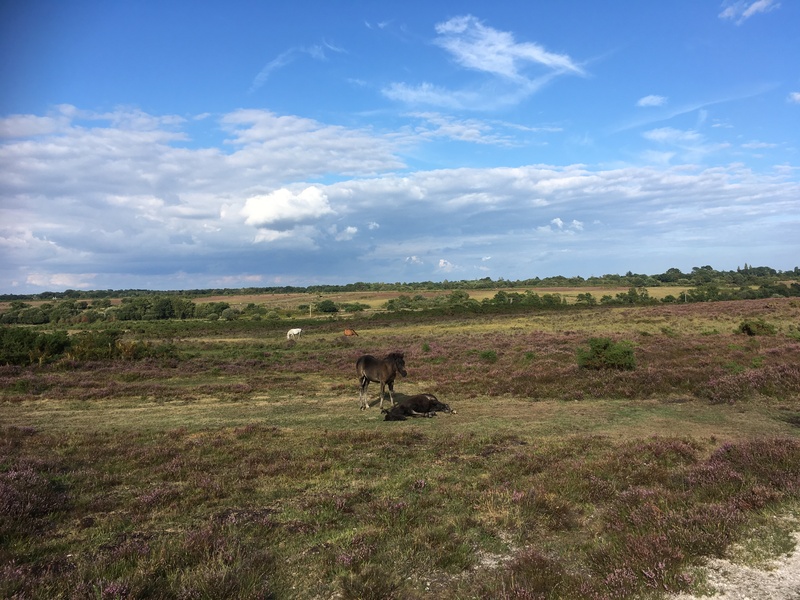 “ …the largest site (14,800 ha) in western Europe where heathland, grassland, mire and pasture woodland habitats survive together in what is a functioning ecosystem based on a continuing practice of pastoralism. They occur as part of a network of wetland habitats that are totally dependent on their local hydrological systems. This complex mosaic of wildlife habitats was formerly common in lowland Western Europe, but is now rare and fragmented. 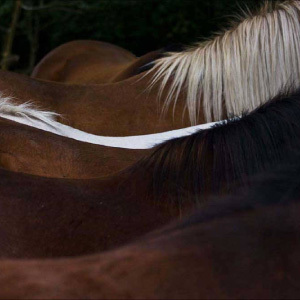 Commoners are linked together by their deep, vocational commitment to the New Forest. This shared dedication has kept the Forest special over centuries, fighting off threats to the area from governments and their agencies, industrialisation and commercial development. These sense of community is important to maintaining this common purpose. Commoners play a huge part in the wider community of the area, often in jobs that are essential to keeping this a real, living and working landscape, whether with the Forest or within its towns and villages. They keep these places closely connected to the real New Forest. Alongside their efforts at work and in New Forest policy circles commoners also come together to do the core work of the New Forest and to enjoy themselves. The New Forest Show, run by our local agricultural charity, and the annual point to point races are particular highlights of this social calendar. The AGM of the Commoners Defence Association also attracts a large proportion of the area's activity commoners to mull over the issues that arise each year. Access to green space is now widely recognised as a major benefit to wellbeing. 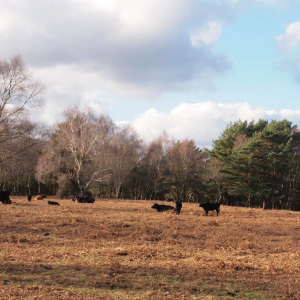 The fact that the New Forest is free, tranquil, and readily accessible to everyone regardless of background is one of the reasons it is so widely appreciated. Public attention has turned increasingly to air pollution and its impact on our health. 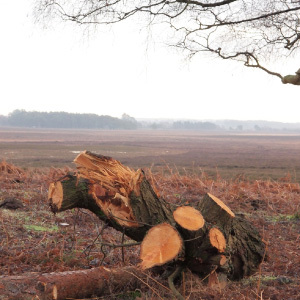 The survival of the New Forest as an open landscape along side the south coast of England is now appreciated for its contribution to air quality. The New Forest lies immediately upwind of Southampton, a city now recognised for its poor air quality due to emissions within the city itself. 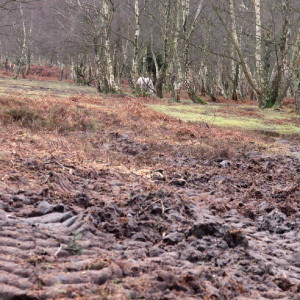 Without the New Forest on its doorstep the situation could be much worse. Similarly, the New Forest itself gives millions of people from the surrounding towns and cities the freedom of getting out in the fresh countryside air. The New Forest must be unmatched for its accessibility. Its many grazed lawns have been popular for picnics for generations. Local people and visitors alike enjoy safely exploring the unfenced countryside criss-crossed with well worn stock tracks created by the movement of commoners livestock, and the gravel tracks and bridges that must be retained in order to allow Forest operations to continue and allow commoners to safely access their stock. 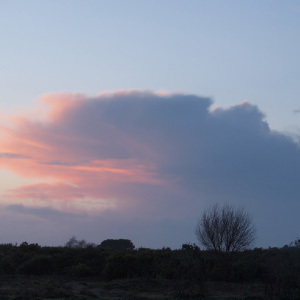 These aspects of the New Forest benefit everyone. Constant and extensive grazing keeps the landscape from reverting to impenetrable scrub, dominated by gorse, brambles, and holly - all of which are fodder for the animals. 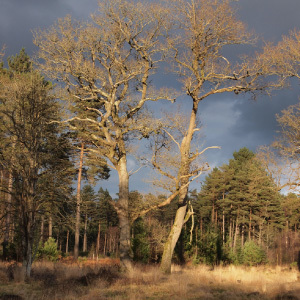 The New Forest is one of the most important wetland landscapes in Europe. Its waters and soils are exceptional due to the absence of industry and intensive farming. Over time, as development elsewhere has spread the retention of a traditional system of common grazing means that it has become a rare landscape, in which no fertilisers are used to support the herd, and in which the use of wormers is strictly controlled. As a result it benefits from exceptional water quality in its streams and rivers.